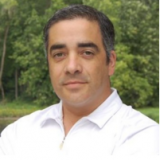 Augusto Sosa Escalada is co-founder and principal consultant of Zettago Consulting Group. Organizations like Yellow Pages, Siemens, Borland, Techint, Total Austral , Banca Nazionale del Laboro and Bank of Tornquist had the privilege to work with him around the world (Argentina, Brasil, Canada, USA, France, Spain). Augusto Sosa Escalada has worked in different industries as pharmaceutical, consumer and industrial products, financial services, technology and hydrocarbon industry. Augusto Sosa Escalada has a strong reference of helping organizations Organize teams to enjoy their work, maximize commitment and solve problems to improve profits.